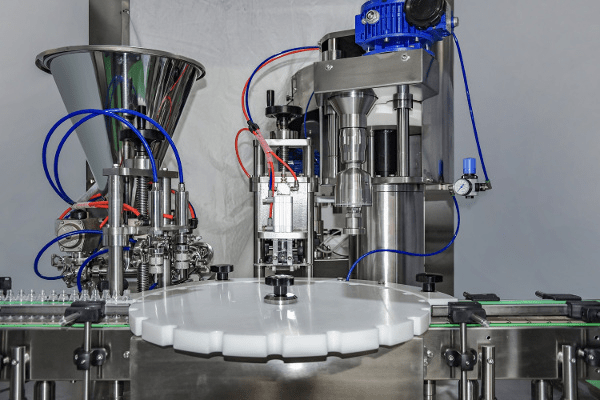 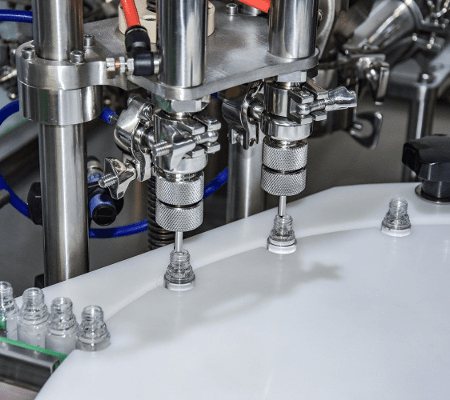 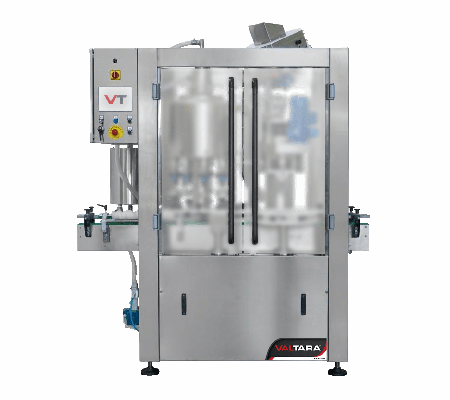 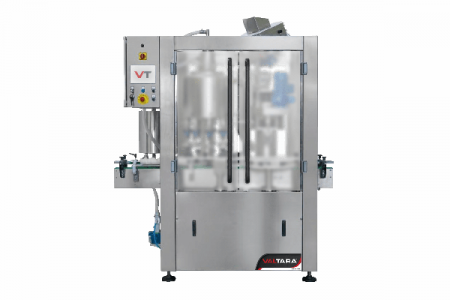 This compact monoblock filling liquid system is a multi-purpose machine used for various process steps, including filling, cap insertion and cap closing all on one single frame. 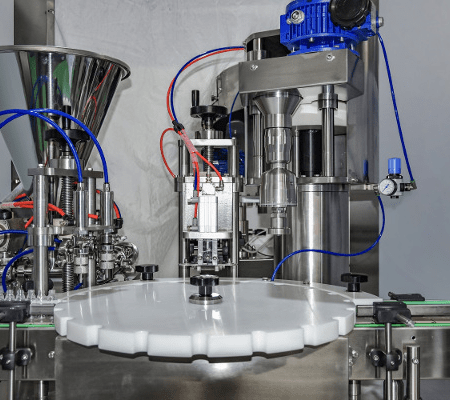 Containers travel clock wise from the initial product infeed conveyor to the filling station. 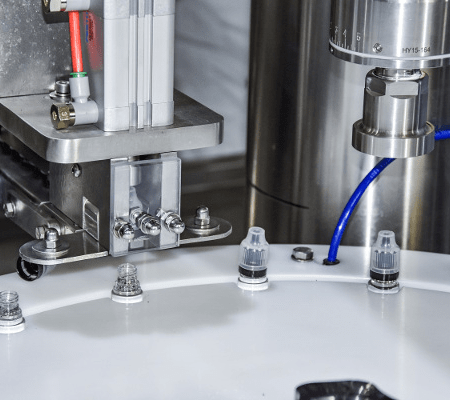 Once filled the containers are indexed to the cap insertion station and finally to the cap tightening / torque station before being exited from the machine. 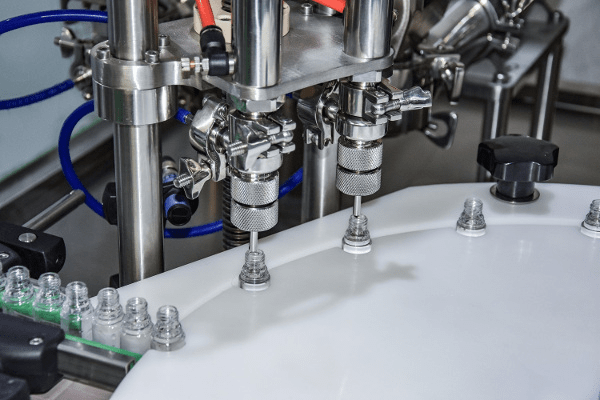 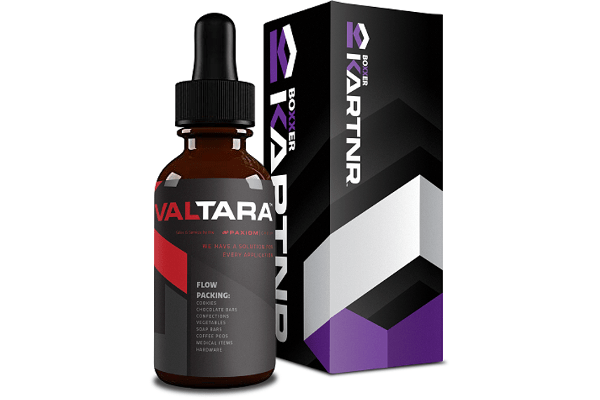 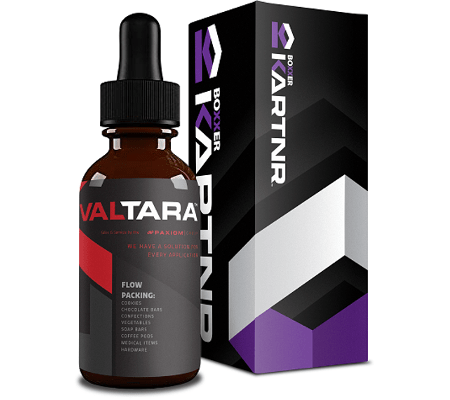 Suited for liquid filling bottles of essential oils, hemp CBD oils and liquids. 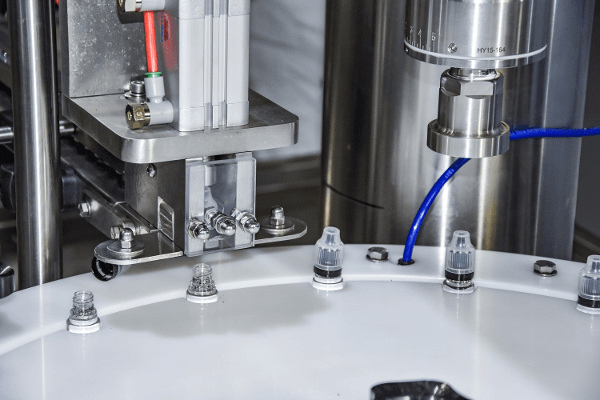 We can automate the labeling and packing of your bottles for shipment!